SOMETIMES, you just want something a little different from your hotel. Well, CNTraveler.com has compiled a list of 10 hotels that undoubtedly fulfil that requirement. 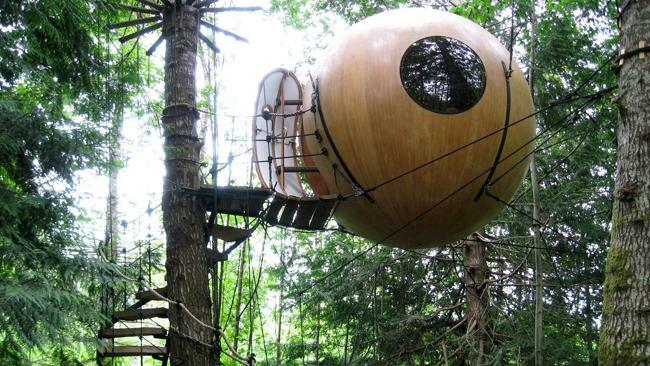 From buildings shaped like doughnuts to capsules jutting from the edge of a cliff, these are the world’s most weird and wonderful accommodations. Think it’s impossible to sleep well on an aeroplane? Try booking a suite at Hotel Costa Verde. 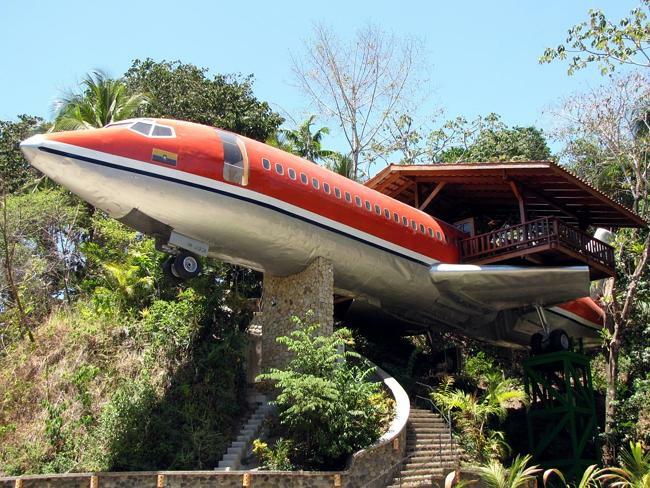 Hotel owner and architect Allan Templeton salvaged a 1965 Boeing 727 and renovated the interior to house two guest rooms, both fully equipped with air conditioning, private bathrooms and kitchenettes. The plane is perched on a 15-metre pedestal and juts out across the rainforest canopy. Grab a drink on the hardwood deck built on the wing, or head to El Avion, the hotel bar built inside a Fairchild C-123 plane. 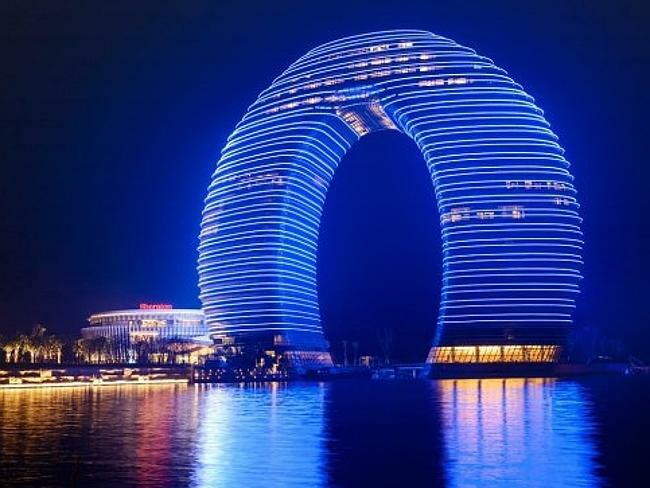 One look at China’s “Doughnut Hotel”, otherwise known as the Sheraton Huzhou Hot Spring Resort, and it’s little surprise that its architect, Ma Yansong, has been named one of the most creative people in architecture. The newly opened resort actually consists of three buildings, two of which curve to form a 27-storey torus that towers over Taihu Lake, west of Shanghai. The Ecocamp’s design is inspired by the dwellings of the Kawesqar, the all-but-extinct nomadic seafarers who devised domed huts to withstand 160km/h winds. 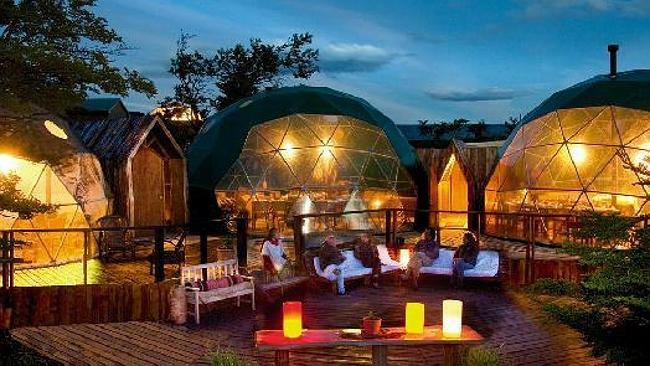 Though the 24 geodesic domes, which run entirely on hydro- and solar power, provide some domestic comforts (bathrooms have flushable toilets and running water), this one isn’t for anybody who’s unwilling to be immersed in the elements. A “oneness” theme is central to Tom and Rosey Chudleigh’s woodland hideaway on Vancouver Island. 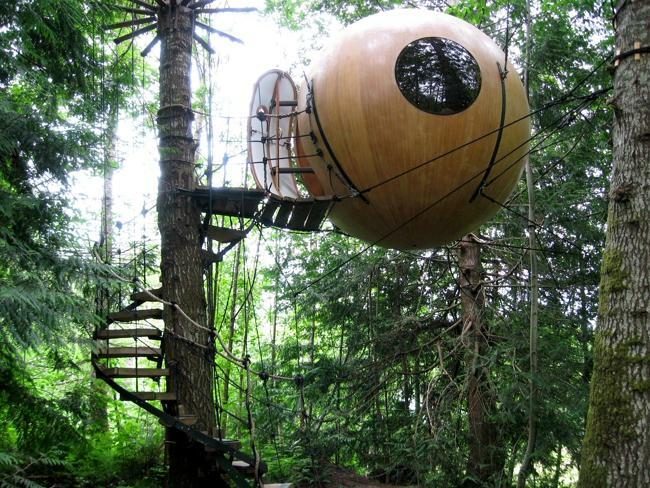 Each of the couple’s three rentable spheres was designed to blend into its natural surroundings. The cozy modules are strung to 4.5 metres off the ground with heavy-duty ropes and are anchored by nearby timber. They sway ever so gently with the whims of Mother Nature (or more turbulently as guests move about inside). The orbs are wired with electricity and stay toasty warm in winter. Though Bivacco Gervasutti seems to rest precariously almost 3,000 metres above sea level, this capsule hotel is well-secured. 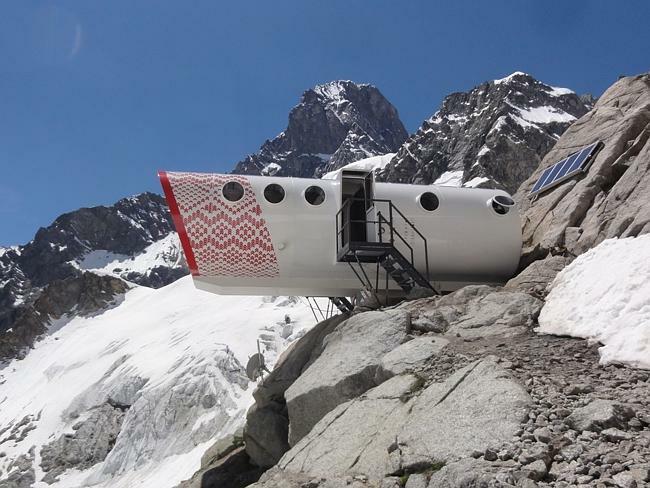 It was designed to prevent snow accumulation, resist avalanches and withstand high-altitude conditions, and it provides sleeping, dining, and living space for 12 people. The only trick is getting there. The ascent from Val Ferret Valley to Mont Blanc’s Frebouze Glacier takes about four hours. 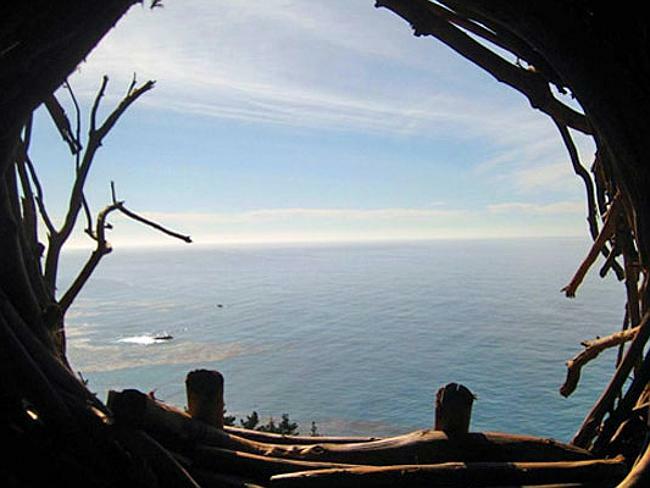 A decade ago, a family decided to make a resort inspired by the way animals live, “perched lightly on the land”. Five years of permits and two years of construction later, this collection of 16 yurts runs on its own generator, has a 20-metre ocean view bar, sources all of its vegetables within 70 kilometres, and feeds leftovers from its restaurant and sushi bar to 18 resident chickens. Every yurt has hot and cold running water, but no showers or toilets (those are in the main house). 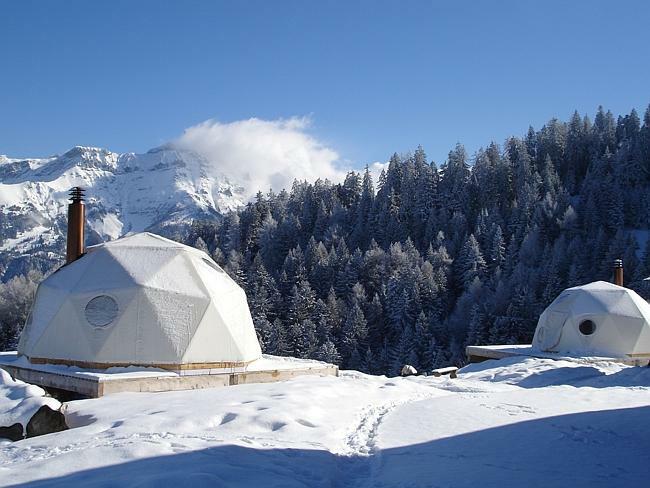 Leave it to the French-speaking Swiss to make a romantic geodesic dome. These 15 pods come with wood-burning fireplaces, organic-cotton sheets, private baths and a minimalist-yet-groovy decor. Leave it to Las Vegas to bring Barbie’s Dream House to life, courtesy of famed interior designer Jonathan Adler, who created the Barbie Suite at the always-over-the-top Palms Hotel. Not a single detail has been overlooked in this hot pink paradise, where girls of any age can live out their Barbie fantasies (the room can hold up to 50 people). Corsetted “dress” chairs, custom wall coverings, a two-way fireplace, an oversized jacuzzi, and a sunburst-styled mirror constructed from 65 actual Barbie dolls are just a few of the amenities you’ll enjoy in these ultra-girlie digs. 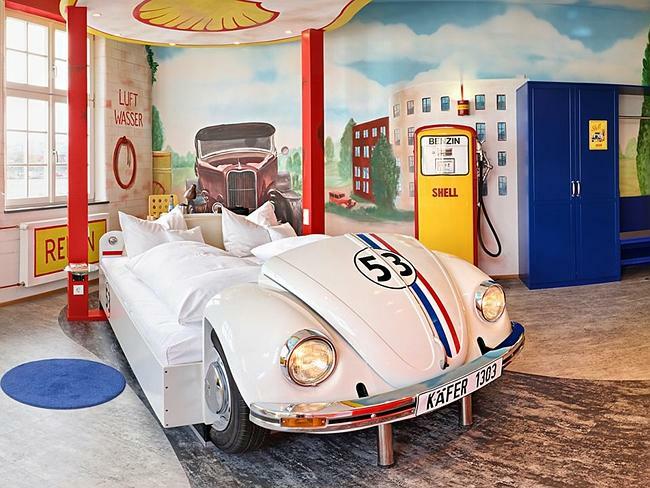 The “Tankstelle” Room, one of the car-themed hotel’s most popular, drew inspiration from a gas station. Guests sleep beneath a massive pump canopy stained with “petrol grime” and emblazoned with the Shell logo. The room is also decked out with authentic 1920s Shell memorabilia, including a genuine Shell pump station and petrol canisters. The Scandinavian design of this tree house villa emphasises sustainability. Rooms are outfitted with hydro-electric power, LED lights, and toilets that odorlessly combust or freeze waste. 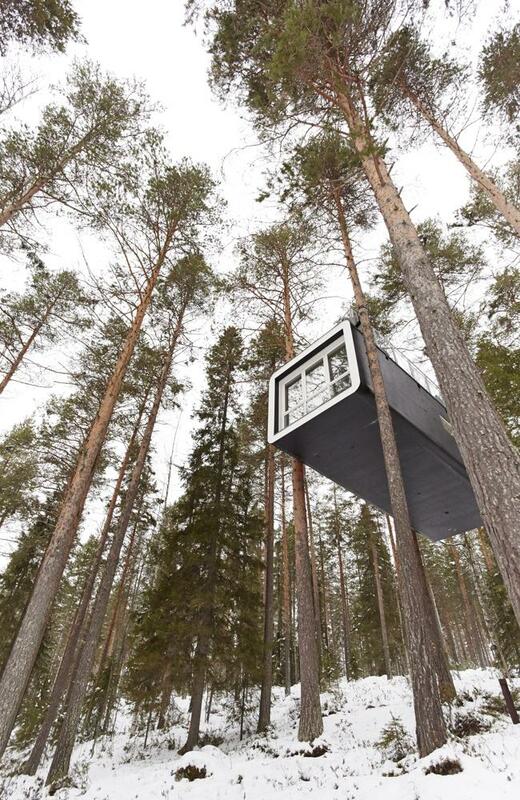 Showers are located in a separate unit, as is the tree sauna.